Critics of the Pradhan Mantri Ujjwala Yojana (PMUY) have pointed to the poor refill rates of PMUY beneficiaries to question its utility. While refill rates must increase to achieve the vision of a smokeless kitchen, the situation is both more complex and more optimistic than many give credit to. Numerous studies have reported that although the poor people aspired to have liquefied petroleum gas (LPG) connections, the biggest barrier to LPG adoption was the high upfront cost (about Rs 4,000) associated with a new LPG connection. PMUY was specifically designed to make the cost associated with a new LPG connection affordable even for the poorest of the poor. 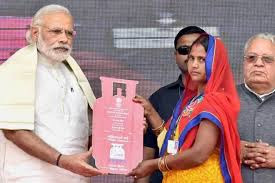 The scheme reduced the upfront cost for a new single bottle connection to Rs 3,300 (by compressing various costs and by negotiating a special price for the LPG stove with the suppliers) and by proposing to bear Rs 1,600 of the reduced cost from the fiscal budget. For the balance amount, in case a prospective beneficiary expressed her inability to pay upfront, the oil marketing companies (OMCs) offered a loan facility. As a result, within 26 months since its launch, more than 4.5 crore poor women now have LPG stoves in their kitchen. Of course, access by itself does not automatically translate into usage, especially for PMUY beneficiaries who are overwhelmingly rural poor. Overall low cash income makes it less enticing for a poor family to move away from free fuel to commercial fuel—LPG is an additional expense in an already tight family budget. The reality is that PMUY beneficiaries have other priorities (for example, saving for emergencies) and different aspirations (for instance, sending children to private, English-medium schools) that can take precedence over their desire for a quick, convenient and smokeless cooking fuel. In addition, seasonality of income (for agricultural workers) and daily/weekly cycles of income/purchase make it a challenge to save enough to buy even a subsidised cylinder. Furthermore, cooking with LPG involves changes in habits for the person concerned, generally a woman in the Indian context. Going from cooking on a mud stove in a squatted position for decades to a standing position as required for LPG is easier said than done. We also need to recognise the cultural challenges where many people don’t like the taste, texture or aroma of food cooked on LPG stoves. When biomass is scarce or is expensive, people are forced to adjust to the new reality—like the transition to LPG in urban and peri-urban areas. However, for the rural poor with relatively easy access to non-monetised biomass, it is an altogether different story. Therefore, there are real barriers to the use of LPG, but the first step to overcoming those barriers is for people to obtain LPG. Further, singling out PMUY customers for low refills is erroneous when we look at the bigger picture. The average LPG consumption was decreasing even in the pre-PMUY period (from 2006 to 2016) for registered customers. During that time, the LPG market was already expanding from the saturated urban markets towards the rural areas. As more and more rural poor became LPG customers, it pulled down that average consumption figure—the average LPG consumption per consumer reduced by 2.6% year-on-year, while in the post-PMUY period the average annual decline is 4.1%. However, the number of new LPG consumers in the pre-PMUY period of 10 years was only double of the two-year post-PMUY period. This decline will likely continue as more rural poor with access to alternative non-monetised fuel and cash crush continue to enrol as LPG consumers but use LPG frugally. Eventually, the trend will reverse, as LPG consumption for new customers starts to grow. Moreover, we estimate that a significant fraction of PMUY beneficiaries use LPG for more than half their cooking needs. The annual ‘useful’ energy (actual energy used for cooking food) consumption by rural Indian households can be estimated using secondary sources such as government data and published research, along with primary data from independent fieldwork. There is a wide range of values—2,450 megajoule (MJ) to 4650 MJ—for a typical family (of five members). This can be attributed to variation in income levels, cooking styles and diet preferences. As PMUY mostly caters to poor households in rural India, we estimate their annual useful cooking energy requirement, on an average, to be 3,000 MJ. We also assume an efficiency of 60% (conservative compared to the minimum 68% efficiency required for LPG stoves sold under PMUY) and roughly 385 MJ per cylinder (accounting for LPG’s energy content and some loss in the cylinder). Under those conditions, a typical PMUY household should consume eight cylinders of LPG in one year, if they cook with LPG exclusively. While the aim of PMUY is a smokeless home that requires near-exclusive LPG usage, a more realistic but ambitious short-term goal is LPG becoming the primary cooking energy source (providing more than 50% of useful energy requirement). This requires consumption of about four cylinders of LPG within a year and should be viewed as an important milestone in the journey towards smokeless home. Full consumption of four cylinders means the consumer would have purchased at least five cylinders within the first year of becoming a PMUY consumer. Despite the widespread criticism of PMUY’s refill trends, our analysis of national-level consumer cylinder purchase data suggests an encouraging trend on this front. Of the 3.7 crore PMUY connections released in the last two years, as many as 2.1 crore PMUY beneficiaries have been LPG customers for one year or more (as of May 2018). The analysis of their cylinder purchase data indicates 30% of them (63 lakh households) have purchased five or more refills in their first year (including the cylinder provided during installation). These 63 lakh poor rural households have transitioned to LPG as their majority cooking fuel within the first year. Most of them would likely not have become LPG consumers without assistance of PMUY. State wise, Uttar Pradesh, West Bengal and Bihar have the highest numbers of PMUY beneficiaries, where 36%, 28% and 39% PMUY beneficiaries have adopted LPG as primary cooking fuel, respectively. Therefore, despite an understandable and expected decline in average refills per customer nationally, PMUY’s real contribution is two-fold. One, before PMUY was launched, 62% of Indian households had LPG connections, and now the LPG coverage has extended to 85% households. Second, 60 lakh PMUY beneficiaries have now switched to LPG as the primary cooking fuel—towards a cleaner kitchen. It would not have been possible for most of these poor women without support from PMUY.